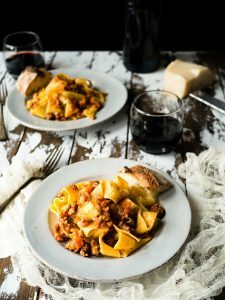 If you have wondered about some of the habits practiced at the dinner table in Italy, then you will want to continue reading today’s post. We will discuss some of their food customs, good table manners, and even their inclinations at the dinner table. Be sure to call Asiago’s in Boise to reserve your table and enjoy fine Italian dining tonight. Unlike Americans, Italians do not switch utensils from one hand to the other — the knife stays in the right hand and the fork stays in the left hand for the duration of the meal. When you have finished your meal, you should lay your knife and fork parallel to each other across the right side of the plate, with the tines of the fork facing down. If, however, you lay your cutlery down on either side of the plate, it means that you are not finished with your dinner. Bread is usually served without butter, which means that you will probably not find a butter knife, but will likely find a bread dish. Olive oil is what is typically served in a bread dish so that you can dip the bread into the oil. If you do not see a bread dish, then you should simply keep the bread on the side of your main plate throughout the dinner. If you grew up in America, you likely heard over and over that you were expected to keep your elbows off the table and your hands were to be hidden unless holding utensils. In Italy, you should remember what your mom said about your elbows, but your hands should actually be visible at all times, even when not holding a utensil. Make sure that you rest your hand on the table at the wrist, never at the elbow. Once the table is set and everyone has been called to dinner, you will observe that wine and water are available at the table, as well as soda and beer. Kids, however, should never expect to see milk served in a glass. While there is a minimum drinking age in Italy, no bar will be likely to ask for ID, which leads to not only an intuitiveness about wine pairing, but also a virtually non-existent underage drinking problem. While Italians don’t drink cappuccino after lunch or after dinner, they do drink it at breakfast — which sometimes happens after 11:00 a.m. The heavy beverage is never served with, or right after a meal. In fact, one of the worst things to do would be to serve it alongside of a dish of spaghetti and clams. Paired with an Italian breakfast of sugary carbs, however, a cappuccino is a great way to start the morning. 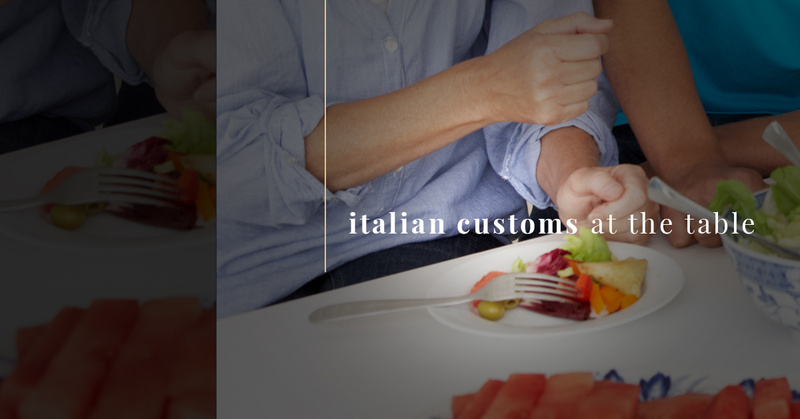 We hope that you have enjoyed our first look into some of the customs and manners that are observed at Italian tables. Asiago’s provides some of the best Italian dishes served with our homemade pasta everyday in Boise. Call and make your reservation today!